A bright and zesty tomato and caper salsa perfectly contrasting mild tilapia. Well, I've decided it's time to bust out of this rut! Surveying the mostly empty fridge, I found some capers and a pint of grape tomatoes. I'd had fish with capers before, so I figured I'd just make a quick salsa topping for the fish. After just a bit of slicing and mixing, the salsa's ready. Now all you've got left is the fish. I went with just a quick pan fry. Throw your fish on a plate, top with some salsa, and you're ready to eat! 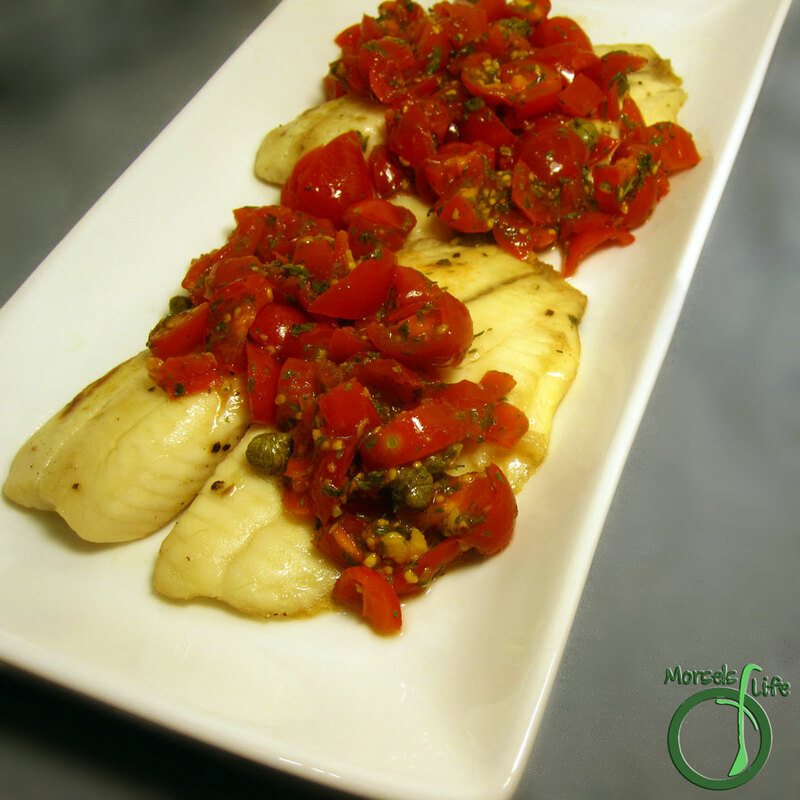 You could even serve this tomato and caper topped tilapia over a salad if you wanted! Help me stay out of a rut! What's your favorite way to eat seafood? 1 pint grape tomatoes, chopped You could also use about a cup of any other type of tomato, chopped. Spray pan with a bit of oil, and cook tilapia. Serve tilapia, and top with tomato caper salsa. I am so clueless about cooking fish. This looks great though, and I'd love to try it! I'd really recommend it. :) It's pretty easy and tasty!